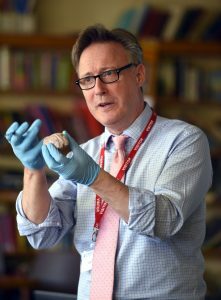 The school was very lucky to have Dr Guy Sutton spend time with pupils as part of their enrichment experience. Dr Guy Sutton’s primary areas of interest are the genetics of neurodevelopment and neuropathology and the interactive nature of genetic, biological and behavioural factors in chronic disease processes. 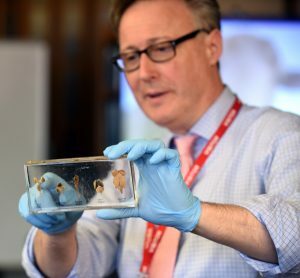 In addition to his role as Director of MBI, he is Honorary Lecturer at the University of Nottingham Medical School, where he contributes to teaching medical students at undergraduate and postgraduate level. 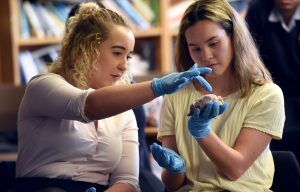 Pupils, parents and teachers had the amazing opportunity to learn about new research and technology in neuroscience. Dr Sutton demonstrated how neuroengineers tracked participants’ neural activity as they listened to recorded speech, then translated brain patterns into synthesized speech, meaning that a computer could communicate directly with the brain, changing how we communicate with coma patients and technology. 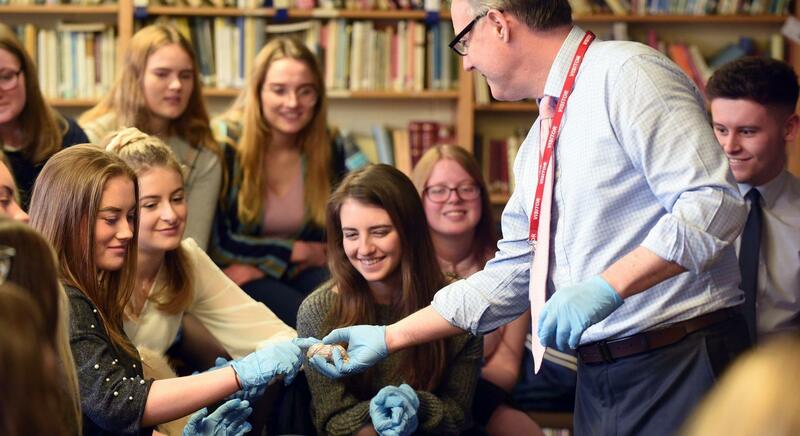 They also learnt about brain organoids ‘lab grown brains’ and debated what makes us conscious, looking at MRI scans of foetuses and the incredible images of the human connectome. 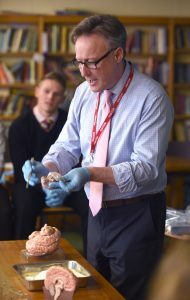 Dr Sutton spoke about case studies where tumours and brain injuries have changed people’s personalities, lobotomies and water baths, the structures and functions of the brain and 48 pupils joined in with a brain dissection. They learnt about brain plasticity; how our brains are consistently modifying and adapting and the effects of drugs and social media on nerve cells.